Spinach nutrition facts reveal that it is a rich source for essential vitamins and key minerals that assist the body and its organs in proper cleansing and optimal functioning. With regards to spinach, nutrition is no real secret. However, learning the specific benefits of spinach and what it offers to good overall health will help arm one with information on how to best use this powerful vegetable, particularly in areas of natural cures and home remedies. Due to its high flavonoid content, the benefits of spinach are also widely celebrated because they help in the avoidance of certain cancers, including ovarian cancer and prostate cancer, as well as provide high antioxidant protection to the heart and cells. The vitamin K, alone, in spinach offers up to 1,000 percent of the daily value recommended for good bone health, depending upon how it is prepared. 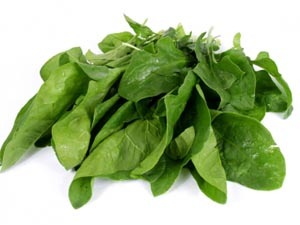 Due to the high oxalates contained in spinach, those with existing kidney and gallbladder problems should avoid spinach nutrition, as it can have a crystallizing affect on bodily fluids. Although very high in minerals, oxalates contained in spinach can also prevent the absorption of calcium in some individuals. Spinach nutrition facts reveal that this vegetable is high in purine, which can contribute to the development of kidney stones and/or gout in some people. Persons with a history of either of these conditions should seek medical advice as to whether or not spinach nutrition should be added to one’s regular diet. In general, spinach nutrition offers a phenomenal amount of support to acquiring good health through dietary means. Although a few precautions exist for those with underlying conditions, spinach is considered to be one of nature’s most profitable foods and should be consumed regularly for the proper maintenance of good health and vitality.